Mission Valley ROP is a provider of career training for high tech, high pay and high demand fields! In existence for more than thirty-five years, MVROP has been instrumental in preparing students for successful business, medical, and technical careers. Operating under a partnership with Fremont, New Haven, and Newark Unified School Districts, over 5,000 students (adult and high school) participate each year in ROP’s exemplary educational programs. The Milpitas Sports Center is a full service fitness center that offers something for everyone. Our facility includes a 33-piece fitness center, 4 pools, large gym and two aerobics studios. Locker rooms and showers are available to members. New members can take part in a “Fitness Orientation” to learn the proper use of our Fitness Center equipment. The YMCA of Santa Clara Valley and the YMCA of the Mid-Peninsula have joined forces to create the YMCA of Silicon Valley. Explore our website to learn more about us, including our health, fitness and wellness programs, youth programs, camps, family activities, swimming and aquatics, and other activities for people of all ages, incomes and abilities. Each retail food establishment in Santa Clara County is mandated by state law to employ at least one person certified in food safety. 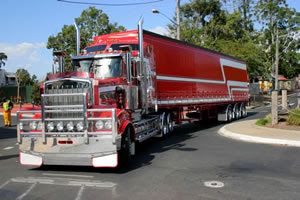 There are a number of organizations that provide the necessary training and testing for certification. The Department of Environmental Health has developed its own training and testing program that meets the requirements for this certification. Click on the links below for certification request forms, requirements, testing and certification providers. A dynamic educator, born and raised in India, now leads a major university a large U.S. city. Renu Khator combines the discipline and work ethic she learned at home as a child with the openness and optimism she says she found in the Southwestern U.S. State of Texas. VOA's Greg Flakus reports on the woman who leads the University of Houston system. How do people go about selecting a college major or future career? Are there job fairs in high schools in your area to help students learn about different careers? Is it a common practice for children to ask parents for guidance in choosing a college major? What are some of the things you need to do to apply for college and succeed in your studies at that level? General Educational Development (or GED) tests are a group of five subject tests which (when passed) certifies that the taker has American or Canadian high school-level academic skills. The GED is sometimes referred to as a "General Equivalency Diploma" or "General Education(al) Diploma" in everyday English. Frequently Asked QuestionsAnswers to frequently asked questions on the GED test. Am I eligible to take the GED test? How is the test scheduled and what are the costs? How can I prepare for the GED test? Are accommodations available for examinees with disabilities? How will I know if I pass the test, and what do I do if I fail the test? The Cisco Systems • San Jose Entrepreneur Center offers management and technology classes to assist you at every level in the growth of your business. Here you'll receive training in the latest computer technology, management concepts, financial planning, marketing and related topics. All seminars are nominally priced; and the presenters are experts in their fields. Pre-registration is always recommended. 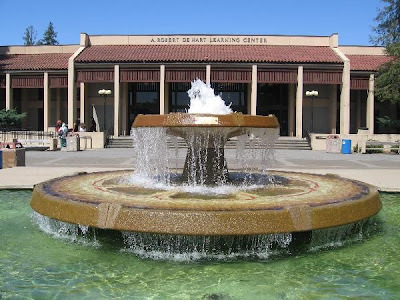 Looking for Summer Classes at De Anza College? Check out our online searchable schedule for summer session. Registration for continuing students begins June 5. Registration for new and former students starts June 15. Summer session begins June 29. Apply today. Sign up for a self-paced CAOS (Computer Applications and Office Systems) or Skills class this quarter through June 12. See our list of CAOS and Skills classes in the spring schedule of classes. Check out our Summer Session class schedule. Choose from a wide range of classes, including opportunities to study abroad. Take popular classes when they're less crowded, complete prerequisite and general education courses, advance your career or simply learn something new. Registration is June 2 through June 28. Summer Session begins June 29. Most classes last for six weeks. 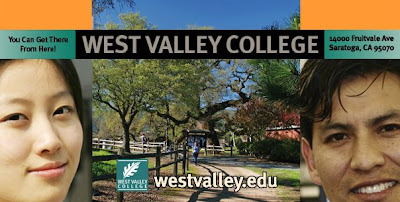 West Valley College is a public California Community College located on the west side of Silicon Valley, in the foothills of the Santa Cruz Mountains, 50 miles south of San Francisco. Continuing a nearly 40 year tradition, West Valley College offers 18 dynamic career programs, professional certificates, and degree programs with exceptional preparation for transfer to four-year colleges and universities. Flexible course options including online and distance learning combined with many levels of support such as financial assistance, educational planning, personal counseling, child care and learning skills programs provide every student the opportunity for the highest academic and personal success. Financial Aid - grants, etc. CARE - (Cooperative Agencies Resources for Education) - support for single-parent students. Must be EOPS elegible. DESP - (Disability & Educational Support Program) - support services, mobility assistance/tram service, assessment, and classes for students with disabilities and learning difficulties. ET - (Educational Transition) - one-stop center for re-entry adults, service learning, Women’s Supportive Studies and other resources. EOPS - (Extended Opportunity Programs and Services) - Educational and financial support services for low-income and educationally under-prepared students. 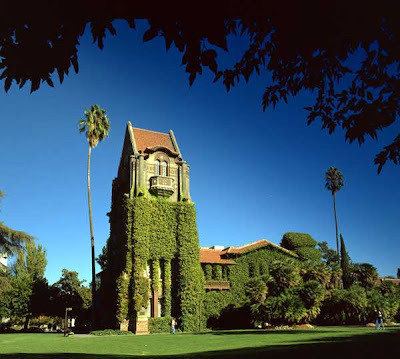 San José State is conveniently located on 154 acres in downtown San José, midway between San Francisco and the Monterey/Carmel area at the sunny southern end of San Francisco Bay, and is easily accessible from area freeways. From its beginnings as a normal school that trained teachers for the developing frontier, SJSU has matured into a metropolitan university offering more than 134 bachelor's and master's degrees with 110 concentrations. Congratulations to all the SJSU MATESOL Graduates! Considering a career in the culinary arts, but don't know where to start? A good first step is to research and compare cooking school locations, culinary degrees offered, facilities, cost, class size, and reputation to find the one that will help get your career off to a sizzling start. Compare Culinary Schools, Baking Schools, Pastry Schools and more, then use our easy contact forms to request more information. If you are thinking of going to baking & pastry chef school, culinary arts school or hospitality management classes including restaurant and hotel management, this is where you should start. Have an opportunity to turn your passion into a respected career. Explore our degree and certificate programs in Le Cordon Bleu Culinary Arts and Le Cordon Bleu Pâtisserie and Baking or contact California Culinary Academy to start preparing for a career you love. This San Jose campus offers training in everything from Automotive Services to Medical Assisting. 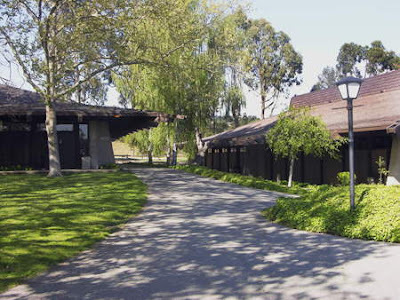 It is the only location in California offering the Culinary Arts specialty. The Culinary Arts course teaches students to work in the food service industry as cooks, sous chefs, baking assistants, and cafeteria workers. The intent is to secure entry-level employment following completion of the course, with the opportunity for professional growth as on-the-job experience develops. The course lasts as long as necessary for students to master the skills and reach a 70 percent competency level, although the average length is about six months. In addition to the training courses, CET offers free citizenship, English as a Second Language, and Spanish literacy classes. Students can also take advantage of financial planning classes, child care assistance, and other life skills training. Located in the heart of the Napa Valley, just two hours north of San Francisco, is The Culinary Institute of America's West Coast campus. Since 1995, the CIA at Greystone has provided continuing education opportunities and career development programs for food, wine and hospitality. Educational courses, ranging from foundation and advanced studies to culinary arts degree and certificate programs, supply training in the culinary arts, baking and pastry arts, foodservice management and professional wine development. 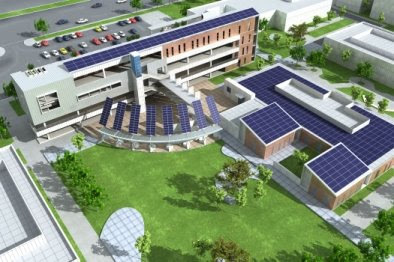 Mission College, located in the heart of the Silicon Valley, has programs in General Education, Hospitality and Food Management, and other classes. Professional Culinary Institute will give you the skills and confidence to excel as a professional Chef in as little as 8 months. The Culinary Arts program at PCI includes a paid externship at a site that is matched to your abilities and skills. Earn money while you gain experience. Find out if a career in Culinary Arts is right for you! Call 370-9186 to attend our next Open House at Professional Culinary Institute 700 West Hamilton Avenue, Suite 300 Campbell, California 95008. Or call 1-866-318-2433 to speak with a friendly Career Advisor today. CCOC Evening Program offers career technical education classes designed specifically for adult students. See schedule of classes for information on course descriptions, dates, times and locations of classes , or call (408) 723-6404. Parent Teacher Association (PTA) offers a variety of programs to help parents get more involved in their child's education. Heald's San Jose campus (next to the Great Mall) builds upon a legacy of teaching that began in 1907. Since its establishment, Heald San Jose has evolved into a leading career college that offers a range of programs in Healthcare, Business, Legal and Technology. As the greater San Jose area thrives as strong market for new jobs, we continue educating students to become uniquely qualified for rewarding careers with top Bay Area employers. What do you think are the advantages of getting a college degree online? Listen to these conversations and pick out the reasons why the speaker is getting all stressed out. Ohlone College enrolls 19,000 students per year at our Fremont and Newark Center for Health Sciences and Technology campuses and offers 180 degrees and academic programs. Every year more than 500 students transfer to four-year colleges and universities. About 600 students graduate with degrees or earn vocational certificates every year. In honor of Cinco de Mayo . . . The National Hispanic University is an accredited 4-year university located in the heart of Silicon Valley. The mission of The National Hispanic University (NHU) is to enable Hispanics, other minorities, women, and others to acquire an undergraduate degree or certificate using a multicultural educational experience to obtain a professional career in business, education, or technology. Although Cinco de Mayo is not national holiday in Mexico, many Mexican-Americans and their friends celebrate Latino culture on this day. On the Sunday before Cinco de Mayo, there is a HUGE parade and fiesta in downtown San Jose, and there also is a school holiday in Milpitas on the first Monday in May. Boston Reed College provides educational opportunity to busy adults seeking stable and growing careers in the healthcare industry. Milpitas Adult School hosts Home Healthcare Aide and Pharmacy Tech classes. You can get more info for the Milpitas Adult Ed Office room 402. I looked it up in the manual. You turn it on with this switch. I think your secretary's going to send it out today. We should save the instructions. I'll put them away in the office. Tomorrow morning we'll get up early and start making a plan. We need to cut back on the number of long distance phone calls. We need to stop eating out so much. We need to keep on saving money. We need to go over our budget from time to time. Let's hope the car doesn't break down. That would ruin our budget. Yolette and Al know they have to cut back on their expenses. they'll have to watch out for unnecessary expenses. They don't want to run out of money. They'll just have to get along on a tight budget. Here is the list of people who buy children's shoes. The list that you made looks good. Ok, here are the fliers that need to be sent out. I know the man who designed and printed the fliers. Mr. Jones is a friend who you can trust. UCSC Extension in Silicon Valley offers courses in over 40 disciplines are taught by leading expert practitioners. You get real-world insight while acquiring tools and techniques you can use immediately on the job. After Diep finished work, she stopped at the bank. She deposited her pay-check after she paid her bills. Before she left, Diep check the balance in her savings account. When she left, she took a brochure about long term savings. She read the information while she waited for the bus. Diep went to the post office after she finished computer class. Before she picked up her son, she got stamps and mailed some letters. She gave a check to the day-care worker when she picked up her son. After she picked up her son at day-care, she went home. Her son watched TV while she cooked dinner. How long were you on the bus? How far is Atlanta from here? How often did the bus stop? How long did you stay in atlanta? How long did it take to drive to the coast? The world's most common requirement for university and college admissions, ETS TOEFL (Test of English as a Foreign Language) is an English proficiency test . Dr Jeff McQuillan and Dr Lisa Tse produced a series of 29 podcasts focusing on the academic life of a first year community college student preparing to take the TOFL test. Sample essay questions sorted by topic. The woman is near the car. The Silvas are inside their car. Roberto and Adela are sitting in front of Cruz. They are sitting next to each other. Cruz is sitting behind her parents. The woman is pointing across College Avenue. Complete the sentences w/ superlatives. It (the Southwest) the driest weather. The North Central states have the heaviest snowfalls. They often have the wettest springs, too. The South usually has the mildest winters. But it often had the most humid summers. The Northwest usually has the rainiest weather in the nation. But it also has the greenest summers. Write the sentences with superlatives. She brings the newest clothes when she travels. Cruz is the fastest packer in the family. She is the messiest and most careless one, too. That's because she's the most impatient member of the family. The motto of Milpitas Adult School is: Lifelong Learning at its Best! Today we begin a new month-long series about education, schools, and job-training. Tina is a college counselor or academic advisor. Some of the programs available at the community college include automotive technology, heating and air conditioning, medical technology, and electronics. Paul's long-term goal is to become an electrician.